‘How shall I sing that majesty? Readings: Wisdom 3: 1-9; Psalm 24; Revelation 21: 1-6a; John 11: 32-44. From a child’s point of view, our Gospel reading this morning (John 11: 32-44) might seem more appropriate for Hallowe’en last night than for All Saints’ Day this morning. 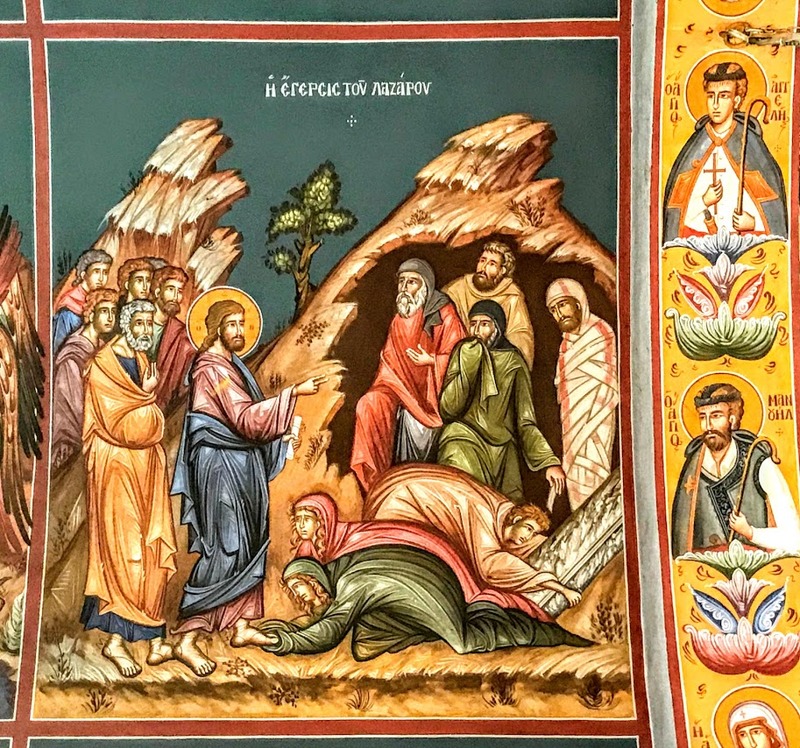 Christ prays to his Father, and it is God, Father and Son, who bring Lazarus back to life, and he emerges from the grave, still wrapped in burial clothes. Through Christ’s action, the dead man comes back to life. Of course, Christ’s action is only going to work for a while, a few months, a few years perhaps. Because, in the end, Lazarus still has to die. But reading the story of Lazarus once again reminds me of two things. Firstly, the Church needs to recover the whole and holy meaning of Hallowe’en, instead of distancing ourselves from it. 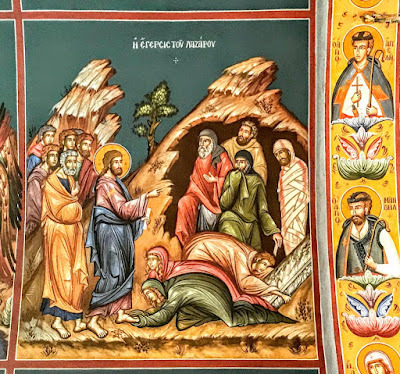 In the Creeds, we say ‘I believe in … the communion of saints … [and] the resurrection of the body …’ (The Apostles’ Creed), and ‘We look for the resurrection of the dead’ (The Nicene Creed). Hallowe’en means simply that we see the dead who have died in the faith as blessed or regard them as holy. We believe that those who have died in Christ now live in Christ and are one with us in the Communion of Saints. And secondly, I believe the Church of Ireland needs to recover a full meaning and understanding of the Communion of Saints. 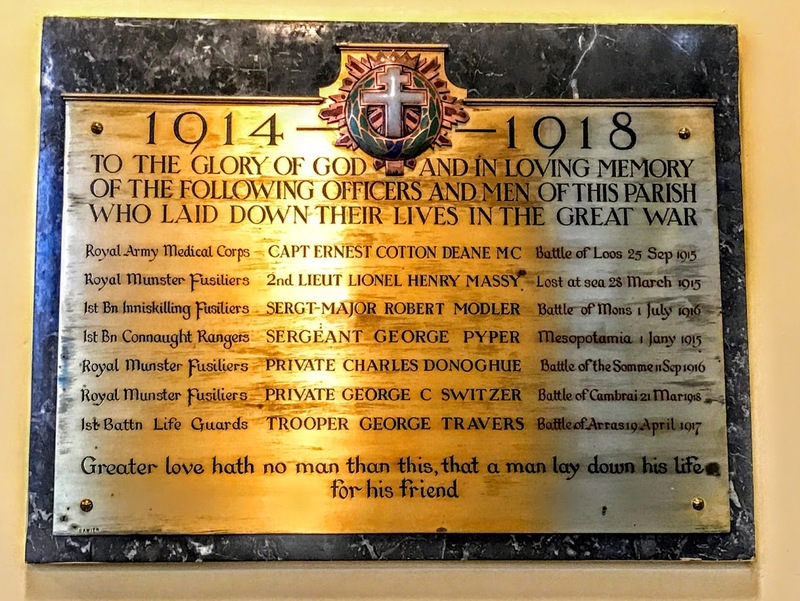 For the Reformers in the 16th century, there was no distinction between ‘All Saints’ and ‘All Souls,’ and the Collect of All Saints’ Day is merely a modernised version of the words composed by Thomas Cranmer for the Book of Common Prayer in 1549. 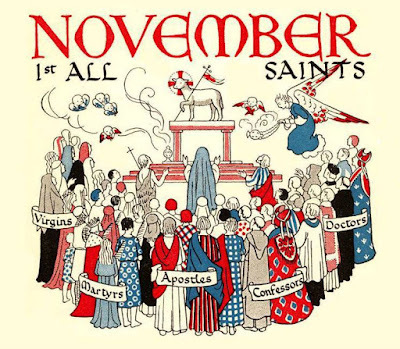 Since the third or fourth century, All Saints’ Day has been one of the 12 Principal Feasts of the Church, and the Pantheon in Rome was dedicated as a church to Saint Mary and All Martyrs. The Wisdom of Solomon is one of the Apocryphal books in the Old Testament, yet is appointed for our Old Testament reading this morning (Wisdom 3: 1-9). This reading says the souls of the righteous are in hand of God, and that after death they will not suffer. To the foolish, it may seem they have simply ceased to exist. But, actually, they are at peace, and while it may appear that they have been punished, their hope is in life eternal. Saints do not have to be canonised. 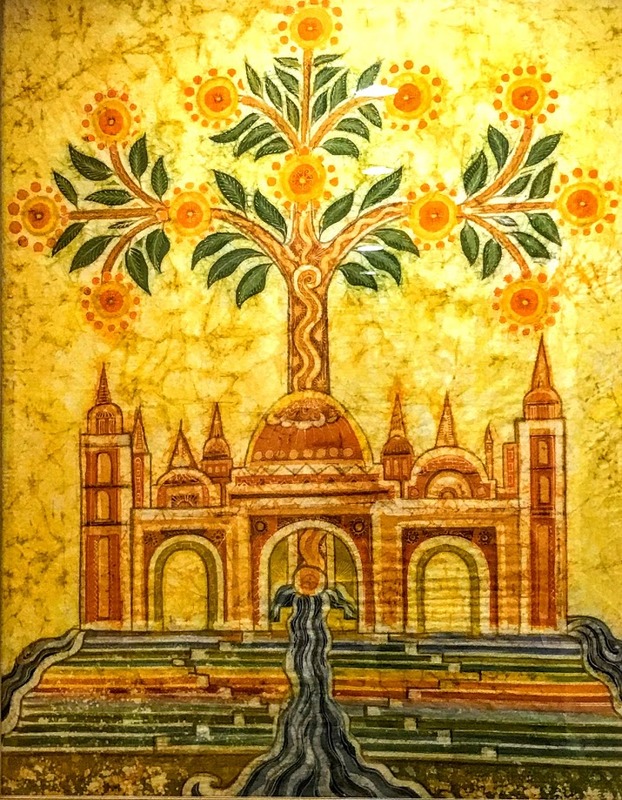 Many of us we know of people who handed on the faith to us from previous generations – teachers, grandparents, perhaps neighbours – and even though they may be long dead by now, are still part of our vision of the Communion of Saints. Saints do not have to live a perfect life … none of us is without sin, and none of us is beyond redemption. 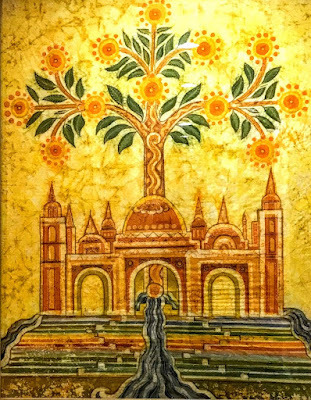 In our New Testament reading (Revelation 21: 1-6a), Saint John sees the new creation, with a new heaven and a new earth, and the holy city, the New Jerusalem, coming down out of heaven. The home of God is now among mortals, but sorrow and mourning, pain and death are wiped away, and God on the throne makes all things new. 459: ‘For all the saints, who from their labours rest,’ by Bishop William Walsham How (1823-1897) (CD 27). 468: ‘How shall I sing that majesty’ (CD 2, Church Hymnal discs). Thursday 1 November, All Saints’ Day: 11 a.m., Saint Mary’s Church, Askeaton, The Eucharist (Holy Communion), followed tea/coffee in the Rectory. Hymns: 459, For all the saints, who from their labours rest (CD 27); 468, How shall I sing that majesty’ (CD 2, Church Hymnal discs). Sunday 4 November, Fourth Sunday before Advent: 9.30, Saint Mary’s Church, Askeaton, The Eucharist (Holy Communion); 11.30, Saint Brendan’s Church, Kilnaughtin, Tarbert, Morning Prayer. Hymns: 592, O Love that wilt not let me go (CD 34); 515, A new commandment I give unto you (CD 30); 358, King of glory, King of peace (CD 21). Sunday 11 November, Third Sunday before Advent, Remembrance Sunday: 11 am, Holy Trinity Church, Rathkeale, Remembrance Day Service, followed by Holy Communion. This is a united service for the group of parishes, with a time of silence and commemoration. Readings: Psalm 4; Revelation 1: 1-7; John 15: 9-17. Hymns: 62, Abide with me (CD 4); 647, Guide me, O thou great Jehovah (CD 37); 537, O God, our help in ages past (CD 31); 549, Dear Lord and Father of mankind (CD 32). Sunday 18 November, Second Sunday before Advent: 9.30, Saint Mary’s Church, Askeaton, Morning Prayer; 11.30, Saint Brendan’s Church, Kilnaughtin, the Parish Eucharist (Holy Communion). Readings: I Samuel 1: 4-20; Psalm 16; Hebrews 10: 11-14, 19-25; Mark 13: 1-8. Hymns: 466, Here from all nations (CD 27); 327, Christ is our corner-stone (CD 20); 372, Through all the changing scenes of life (CD 20). Sunday 25 November, The Sunday before Advent, The Kingship of Christ: 9.30, Castletown Church, Morning Prayer; 11.30, Holy Trinity Church, Rathkeale, the Parish Eucharist (Holy Communion 2), with Sunday School. Readings: II Samuel 23: 1-7; Psalm 132: 1-12; Revelation 1: 4b-8; John 18: 33-37. 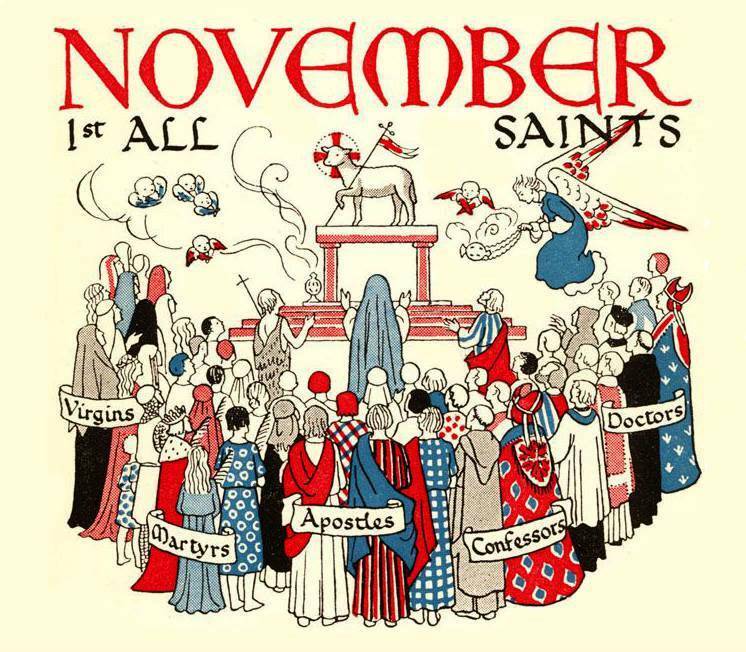 Saints days in November: 1, All Saints’ Day; 30, Saint Andrew.